I made a mistake getting this book. I'm not sure what I had in mind when I bought it. Had I seen what's inside, I would have skipped it. This book is about Santiago Ramon y Cajal (1852 - 1934), the pioneer or father of modern neuroscience. He's a a Spanish pathologist, histologist, neuroscientist, and Nobel laureate. 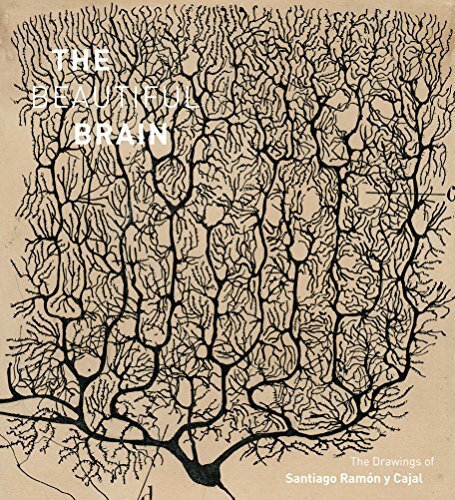 Over the course of his career, he has drawn over 2,900 drawings detailing the nervous system, the networks, of the brain. Collected within the book are selected drawings of these neural networks and cells. Basically, he used some sort of stain that colours the cells or pathways black, which enables him to see them. The drawings are very well produced. I'm not someone who's into medical science so I'm not sure who this book would be most suitable for. Check out the pages below. This book has numerous favourable reviews on Amazon. I'm quite surprised that there are that many reviews. Didn't know that this guy was that famous. The point about this book is the beauty of the natural imagery. He detailed the intricacies of cellular and neural structure with his beautiful drawings. Any abstract artist would appreciate the beauty shown here just because these occur in nature. They can be starting points for real artistic expression. In fact I dud a series of drypoint etchings adapted from macroscopic photography of cell structure, several of which look amazingly close to some of his drawings.